The Balconies will say farewell with a final Ottawa show - Spotlight Ottawa	:: Spotlight Ottawa - Your local music scene. Get out and experience it! I was shocked today, to hear the news that The Balconies are going to say farewell with two final shows in Toronto and Ottawa. Their final show will take place in Ottawa at The 27 Club on Saturday February 3rd, 2018. Opening up the evening will be Ottawa’s The Love Machine. Tickets are on sale as of 10am on December 15th online, and are also available at Vertigo Records and both Compact Music locations. After ten years, alt-rockers, The Balconies, are saying farewell. Known for their mesmerizing stage presence, incredible musicianship, and powerhouse vocals from frontwoman, Jacquie Neville, the group has toured tirelessly for the better part of a decade, releasing three full-length albums along the way. Now, they’re taking a step back from “The Balconies” and will be marking the transformation with two final shows in 2018 in their hometowns; February 1st in Toronto at the Horseshoe Tavern, and Ottawa’s 27 Club on February 3rd – the eve of their debut show ten years ago. Tickets for both shows will be on sale tomorrow (Friday, December 15) at 10am. In addition, the band will be sharing a previously unreleased album, titled Show You, which was produced by Jon Drew in 2012, and a self-titled LP from 2009. Both records have been previously unavailable, and will now be released on Friday, December 15th. 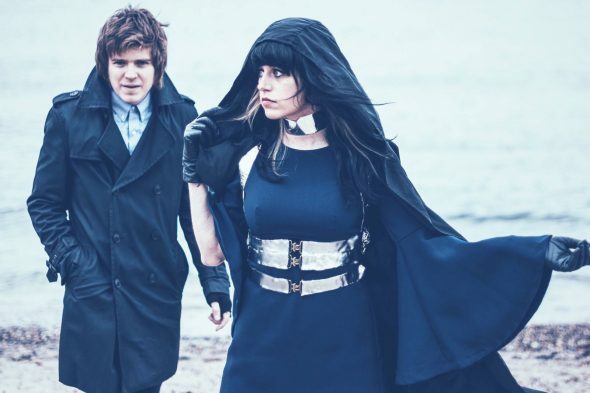 The Balconies – Jacquie Neville and Liam Jaeger – formed in 2008 in Ottawa. Their undeniably kinetic performance style, meshing diverse influences like Yeah Yeah Yeahs, Duran Duran, and New Order, has seen the band on stages across Canada, the US, and Europe.